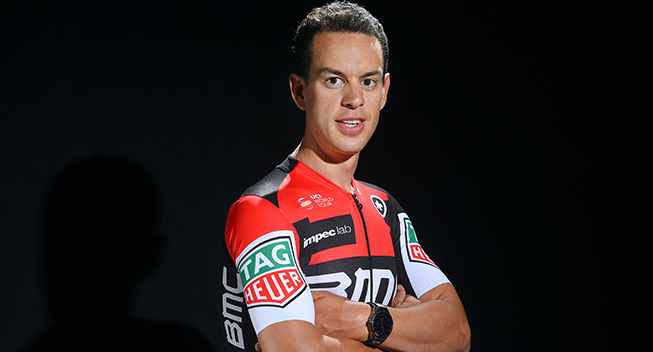 Two-time runner up, Richie Porte is set to headline BMC Racing Team’s seven rider roster at the first UCI WorldTour race of the year, the Santos Tour Down Under. Porte, who finished second overall in 2015 and 2016 and has claimed victory on Willunga Hill on the past three occasions, has his sights set on opening the 2017 season well. “I love racing in Adelaide and having already been on the podium twice, I’d like to start the year with a good result at the Santos Tour Down Under and hopefully go one better. I’ve had a particularly long off season since Rio so I’m ready to get back to racing. I have a strong team by my side and as an Australian it’s great to have all of the support from fans,” Porte explained. Having conquered Willunga Hill on Stage 5 since 2014, Porte is aiming for a fourth consecutive win. Santos Tour Down Under, race director, Mike Turtur said Richie Porte has come close to overall race victory several times. “Staging Connections Stage 2 with the finish into Paracombe and Bike Exchange Stage 5 are big days for Richie. He has won at Willunga Hill three times and has strong team supporting him here, making him a big contender,” said Mike Turtur. BMC Racing Team Sports Director Fabio Baldato said an experienced team will be riding in support of Porte, including local riders Rohan Dennis and Miles Scotson. “Richie is in good shape for this time of the year and is motivated, so it is important that we bring a solid team to help him go for a good result. We have former winner Rohan Dennis and new recruit Miles Scotson who, coming from Adelaide, know the roads well,” Baldato said. Damiano Caruso (ITA), Rohan Dennis (AUS) Amaël Moinard (FRA), Richie Porte (AUS), Miles Scotson (AUS), Danilo Wyss (SUI), Francisco Ventoso (ESP).